Parents: Have you established a homework center for your children? Having all the needed tools at their fingertips makes it more likely your children will pitch in and get their homework done. Some children work better alone in their bedrooms. Others need the presence of adult nearby. They might study at the kitchen table while you are preparing supper. Some need quiet, while others use music (not too loud) to drown out distractions. 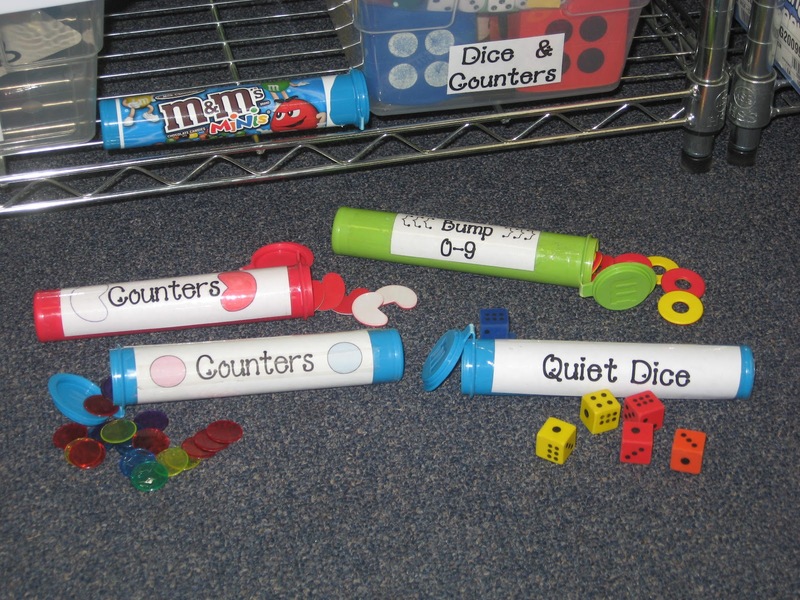 A timer may come in handy if your child has trouble staying on task. Try time spans appropriate for your child's age, alternating study time with playtime, chores, or some kind of physical movement. Two 15 or 20 minute sessions may be more productive than one long homework session. Hydration is important to keep the mind focused. Water please, rather than sugary drinks. Homework is so important to give children a chance to practice the skills presented in class. Setting the stage for study can help your children get the most out of their homework experiences. If your child has difficulty completing homework assignments in a reasonable amount of time each evening, contact the teacher to get some more ideas for helping him or her be more successful at home. Teach them a lesson, they might remember it. Teach them by song, and they'll have it! Have you ever noticed how true that is for young children. I try to teach many skills by song. For instance, this week we are working on what makes a complete sentence and the difference between statements and questions. We will write many sentences to practice these skills. To help them remember to check the beginning and end of each one they write, I made up this song. It goes to the tune of Ten Little Indians . And ends with an end mark. Bang fist into other palm. A statement just plain old tell you something. Turn hands over in front of you and shrug. A statement begins with a capital letter Repeat measurement gesture. And ends with a period. Bang fist into other palm. A question asks something you don't know about. Scratch head like you're puzzled. A question begins with a capital letter Repeat measurement gesture. And ends with a question mark. Draw a large ? in the air, adding the dot on the word "mark." Next week we'll move on to two more sentence types if my class has a firm grasp on statements and questions. Commands give orders to be followed. Salute. And end with a period. Bang fist into other palm. Exclamations express all kinds of strong feelings. Fling arms out dramatically. Exclamations begin with a capital letter. Repeat measurement gesture. And end with an exclamation mark. Draw a large ! in the air, adding the dot on the word "mark." One of the joys I have in teaching second grade is watching the sheer delight children have in learning something new, unusual, and interesting. What seems very simple and common place to an adult may be brand new and amazing to a child. Last week in math we began talking about even and odd numbers. To help them understand how numbers come to be called even or odd, I had them draw dots to represent a number. If they can connect each dot with a partner, the number is even. If one dot is left over, he's the "odd man out." (My math specialist friend, Judy, gave me that idea.) So that number is called odd. Even Steven, don't be late. Now, if we can just remember which digit to look at to determine whether a number is even or odd. . .
New school supplies are so exciting for the little ones. I like to make sure they get a chance to use all of them within the first couple of days. Their first cutting experience this year was quite simple. They had to cut off the margins of a piece of notebook paper. Then cut the lines on those, as well as the larger section of lines. Then they got to put those strips on a piece of construction paper to create their own picture or design. Here are the results. fine motor and perceptual skills; work habits; ability to stay on task, etc. I'd love for you to leave a comment about what kinds of beginning-of-the-year activities you plan for your students so you can make some informal observations. 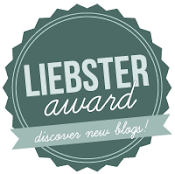 I've been so surprised to see how many curious folks have dropped by my new blog to have a ride on my little red wagon. Many are from the U.S., of course. The unexpected thing was people from Russia are my most numerous viewers. I've also had Canadians, Germans, and Malaysians take a ride with me, as well as a few people from the U.K. and Tajikistan. A Little Red Wagon is truly a part of a global community. 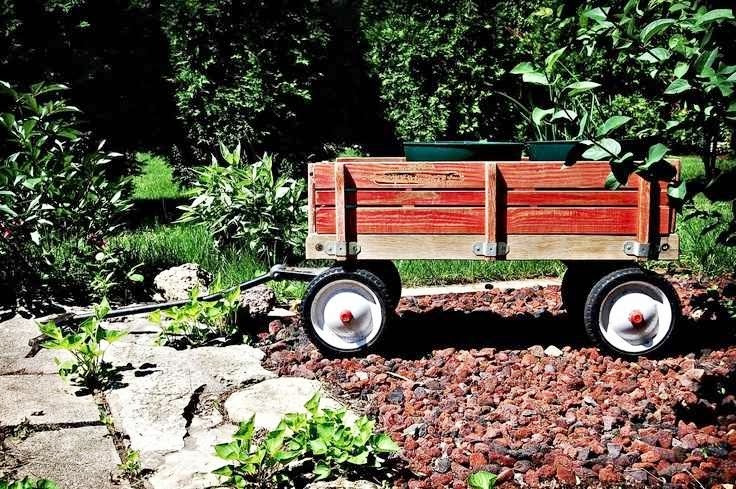 It would be so nice if you visitors would leave a comment letting me know if you're a parent, teacher, or teacher candidate, where you live, and how you found my humble red wagon. "If you're happy and you know it, clap your hands," goes the old song. It feels so good to be happy. As teachers and parents, we set the tone for our classrooms and our homes. We need to be purposeful in establishing a positive environment. Yes, I know. We all have our plates over full. Our stress levels are over the moon, and we are running in four directions at once. It's important, however, that we do a neck-up check-up on our own attitude first. Have we gotten into a negative rut with our thinking? Making a self-adjustment in our way of thinking can make a huge and lasting impact on all those whose lives we touch. The payoff is both emotional and physical. Who wouldn't like to feel better in both those categories? Here's a few ideas with which to begin today. + Look for what's right instead of always what's wrong. + Make sure laughter (not sarcasm) is part of your day. + Daily count your blessings. + Be intentional about speaking postive words into our children's lives. + Have realistic expectations so as not to stress out others. I'm sure you can begin to think up other positive changes. As you do, please share them here. "A merry heart does good like a medicine, but a crushed spirit dries up the bones." The first day of school is exciting, scary, unnerving, happy, or all of the above for our students. Sometimes for us teachers too. Today I read the book, First Day Jitters, to my class. The main character struggles with not wanting to go to school. The ending is a big surprise, and my students had to hear it twice to catch it. Following that I had them relate to the book by drawing and writing about their back-to-school jitters. Here are some of their responses--in their own spellings with translations as needed. I was skard that I wode not no my techer and I wode not no pepul ther and their were cids evrewar! I was scard of not being with my frinds. Children's fears about beginning school are real. It's important that we teachers plan that first day full of encouragement and success. Got to meet almost all 21 of my new Learning Gardeners yesterday afternoon at Meet the Teacher. A couple of my last year's sweet 2nd graders dropped by to say hi, too. One boy's dad was in my 4th grade class many years ago. Four of my new students have siblings I have previously taught. Another child's mom was in my 4-year-old Sunday school class. I'm pumped for my 42nd year of teaching. It's going to be great!! Here is a little fun decoration I made for my room. After I'd made it, I decided next time I'd either use all cardstock or all lighter weight. It's made from 4" x 8" strips stapled together. I used Glue Dots to attach its center to a circle on the front side and back side. Then I topped it off with a blingy flower. Below you can also see how my free VistaPrint poster turned out. My first grade colleague has a beach theme, and her room looks so cute! I thought she needed some special erasers for her white boards, so I made her these shark flipflop erasers. Parents - Reading aloud to your children is one of the simplest, yet most profound ways to help them have success in school. It's never too early to begin reading to your child-even pre-birth. It's something you can enjoy together long after they have learned to read themselves. How can reading aloud help? The opportunity to discuss (instead of lecturing about) all kinds of topics as you read together-This gives you an opportunity to teach your values to your children. What kinds of things should you read to your child? Very small infants don't care what you read. They respond to the rhythm of your voice. Young children love the rhythm and rhyme of nursery rhymes and poetry. These are quite important as children acquire the sounds of language, learn how books work, and begin to increase their attention. Wordless picture books help them begin to understand how stories work as you look at and discuss the pictures together. No book is too easy for beginning readers. To develop their early skills, they need to spent lots of time reading books with rhyme, rhythm and repetition. As they gain experience at this stage, continue to read aloud to them as well as having them read to you. You can read things above their reading levels. Your discussions about the story line, characters, and new words or concepts presented in what you read to them will help them build comprehension in a pleasant manner. As children reach the chapter book stage, they are generally able to select appropriate-level books for themselves. Help them find material on topics of their interest. School and public librarians will be happy to help you. Read a variety of things to your children: magazine and newspaper articles they might be interested in, fiction and nonfiction writings, poetry, comics and graphic novels. What you invest in reading and enjoying time together, will pay off in strengthened skills and relationships. This becomes even more important as your children grow older. How nice it is to have this foundation of shared pleasure. Perhaps it may temper those normally turbulent teen years. Read and enjoy the time together as long as they will let you. Can you remember your feelings when you were about to begin second grade? Did you have lots of questions run through your mind? * Will my teacher like me? * Will I have friends in my new class? * Will I know how to do the work? * Will I remember my bus number when it's time to go home? Prolific children's poet, Aileen Fisher, addresses a child's wonderings in her poem below. Primary Teachers - We work so hard to perfect our rooms for our students. We scour ProTeacher.net, Pinterest, and other sites to find the most clever and cutest ideas to adapt for our classrooms. It consumes hours of our time in planning and prep. Finally, it all comes together just before the big day! Before that first child enters your room, while everything is still neat and tidy, stop. Sit down in a child's seat at the back of the room and take a "visual walk" all around your room. Think what it will be like for a student in your class. As you slowly survey your kingdom from a child's-eye view, what do you see? Are dodads dangling from the ceiling? Do you see a cacophony of colors and patterns? Is every flat surface lovingly wallpapered with some important or decorative poster, picture or flashcard? No, I'm not proposing we have a bland, sterile environment. I've just been convicted lately about how many of our adorable primary classrooms are violating our cherubs with visual clutter. Guilty as charged!! I've determined to ask myself throughout the school year, "Do my kids have a place to rest their eyes? Am I driving my kids who are highly visually distracted to distraction?" The enlarged, bold-faced, italicized, underlined, colored text, and brightly-highlighted words above are too much. Likewise, my room can be too much when I put up every decorative tidbit that goes with my garden theme, as well as the alphabet, the bulletin boards, the teaching posters, our room rules, etc., etc. Yes, I know that many schools are very closely monitored and quite restricted in what can be displayed in their classrooms. Other areas aren't reined in as much. Our fire marshals may be helping our students more than they know by limiting the amount of "stuff" we may hang. I need to more carefully consider whether each thing I display contributes to or clutters up my students' learning. What thoughts do you have on the matter? Whew!! Today was a long but productive day at school. I accomplished a lot of needed decluttering and reorganizing. Sure hope to continue this trend and get the room finished before I "officially" report this Thursday. Today's memo is all about breakfast. It's not just a wive's tale that breakfast is the most important meal of the day. Students and teachers need to be well fueled to be mentally and physically alert to have a successful school day. Now, everyone occasionally has one of those running-late, no-time-for-breakfast days. However, a consistent pattern of skipping has definite negative consequences. Following are some grab-&-go breakfast ideas to help jumpstart a good day. Peanut Butter Sandwich. Who says you can't have a sandwich for breakfast? Kids can make their own and won't have to wait on parents to fix their breakfast. Add fruit slices or a small amount of honey or jam to make it tastier. With a glass of milk this makes an easy, healthy meal. Breakfast Burrito. When you make your own at home, you can save money and an amazing amount of sodium. Cook, drain, and crumble the bacon or sausage in a large batch and freeze. The night before take out the amount needed and put it in the refrigerator. You can slim down your burritos by using turkey bacon and scrambling egg whites. Add in the veggies your family likes. You can find scads of easy and healthy recipes on the Internet. Look for recipes that contain protein, whole grains, fruits and veggies. Avoid those that call for excessive sugar, salt, and fats. Teach your children to become label readers and arm them with some savvy strategies, like nixing cereals that have a type of sugar as one of its top three ingredients. Let them help find healthy choices in the cereal aisle, and they will be more likely to eat them. Work together as a family to create the week's breakfast menu. Be a good role model by eating a healthy breakfast each day. This post involves M & Ms. Don't you just love them? I've discovered a second reason to love them--their container! These tubes filled with chocolatey tastiness are the perfect size to store math manipulatives. The hinge on the lid doesn't last long, but lid itself still works. Somebody has to eat all those mini M & M's so you can use the containers. Get out there and sacrifice for your students' good right away!! Parents - It's time for your cherubs to start reviewing math facts. Make a trip to the dollar store for some cheap flashcards. Online sites, like http://www.bigiqkids.com/MathFacts/FreeMathFactsProgram.html, http://aplusmath.com/, and others are a fun way to practice these important skills. You want your children to have instant recognition of the facts they were required to know by the end of last school year. By reviewing their facts now, they will restore the "summer brain drain" that occurs when there is little or no use of math skills during the summer. Check in to see where they start with their recall, and see where they are by the time the first day of school rolls around on August 13. Polishing these skills before school starts will help your children plant seeds of success for the coming school year. One of the blessings of being a teacher is having a new beginning each fall. New routines, new faces, new personalities, new challenges. It is true, there is comfort in routine. However, there is something exciting about beginning again, modifying old procedures in a new way, adapting trusted teaching strategies to a new group of learners. Standing on the brink of a new school year, the possibilities lie before me. The sense of responsibility for each life entrusted to me weighs heavily, but I gladly accept it. This is not my job, this is my calling. So much has yet to be done to have my learning garden ready. Cleaning, organizing, decorating, planning will be completed with thoughts of how best each of these chores will benefit my new little students. It is so important to get things started off correctly in order to plant the seeds of success I want to cultivate throughout the months ahead. What are your thoughts about beginning the new school year?